The fastest way to get a quote is to call. Our team can help with boat insurance and personal watercraft. Whether you stick to the lakes or prefer to sail along the coast, we can help with insurance for your boat. 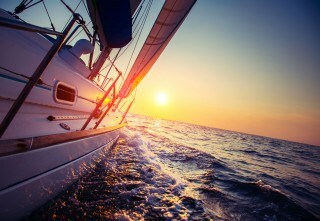 We have access to a variety of boat insurance products, giving you options. Being located not far from the water, boats and personal watercraft are simply a part of our lives. From thh little Duffy electric boat to a 40 boat, we have options. Whether you like to relax on your pontoon or are a top-notch angler, Stratum Insurance Agency’s team will tailor a policy to your needs. We go beyond just getting you a quote based on your hull value and a few quick questions. We will tell you about the many coverage choices to make sure that you are protecting more than just your boat, but also your water-based lifestyle. Remember, at Stratum we know you by name, because our clients are like family. Choose from a high end coverage package with many coverage broadening options to a more basic policy.